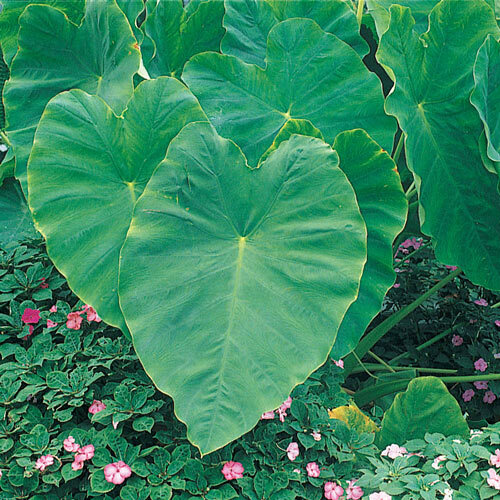 Foliage TypeHuge, oval, heart shaped to arrow shaped leaves up to 2'+ long and 18" wide. Flower FormSmall white spathes, like jack-in-the-pulpit flowers, insignificant. Soil RequirementsDeep moisture retentive soils. They are heavy feeders. 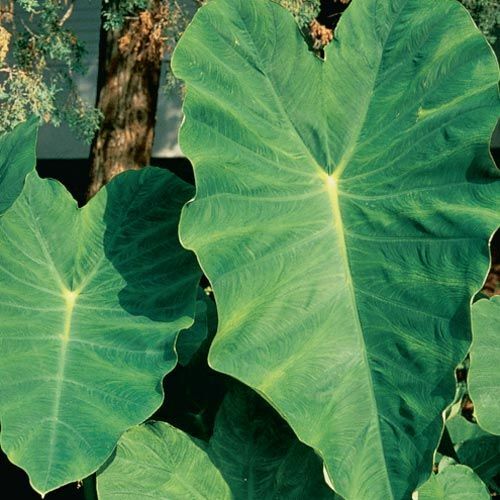 Winter CareLift tubers in the fall and store in a frost-free location over winter. Replant the following spring after last frost. 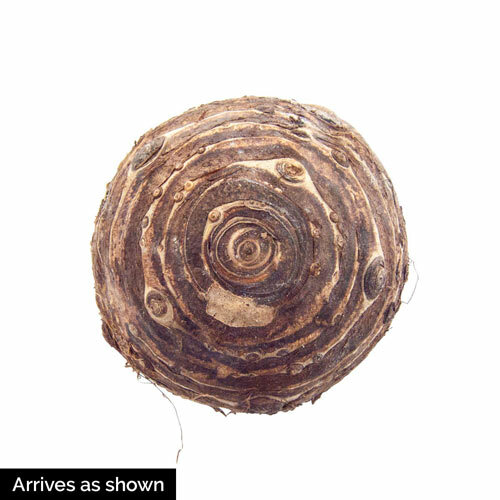 Additional InformationThe taros replace the potato in tropical regions as a source of food known as 'poi'. Planting InstructionsPlant 2 - 4" below soil level. Keep well watered. Best to mulch if not grown in standing water.